The holidays are just around the corner, and many of us are thinking of ways to spread kindness beyond the borders of our own families and into the community at large. 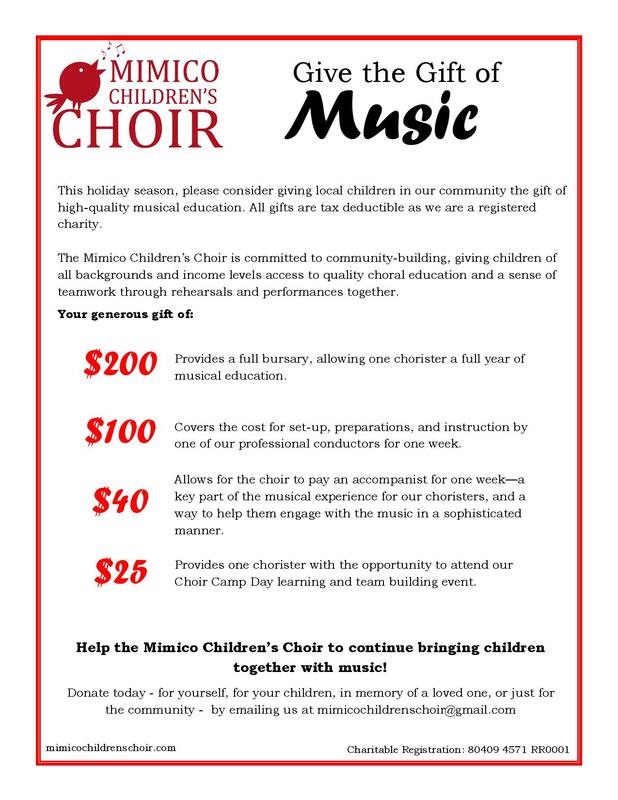 If you are able to, please give the gift of music to the children in our community by donating generously to the Mimico Children’s Choir this holiday season! If you’re looking for ideas about what your donation can "buy," please click on the image below to expand it to full size and see the fabulous impact that your gift can have.